Completed in 2006, Walker terrace sits on Portland’s Congress Street. 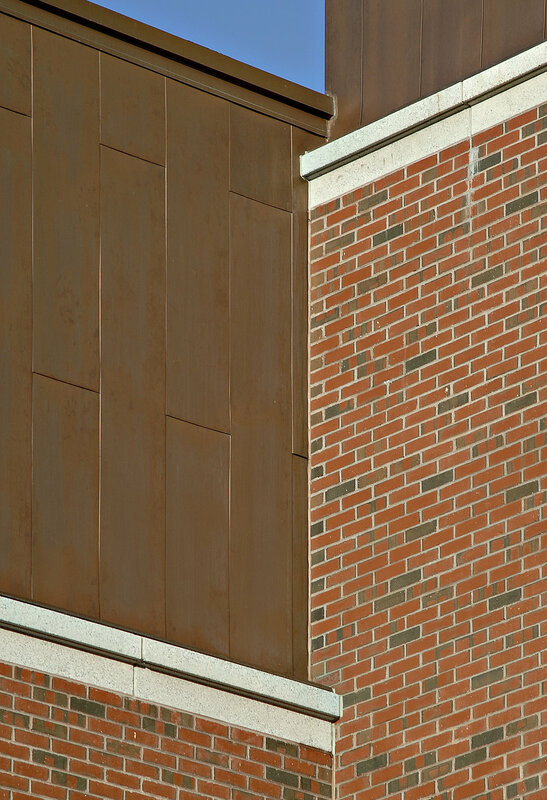 Walker Terrace employs a variation on Maine’s vernacular brick architecture by incorporating various sized bump outs, a dynamic facade, and a contemporary fifth and sixth floor clad in weathered copper. Comprised of one and two bedroom apartments, this building also benefits from street front public galleries and covered secure parking. This project was the first building in the State to be designed and constructed to meet the new Maine Housing Authority Green Building Standards – making this building an efficient and environmentally conscious living opportunity for Maine’s mixed income families. The building is situated on urban transit lines, close to the downtown business district; it is insulated in excess of the building code standards; it was designed to reduce construction waste, and its indoor air quality is increased through thoughtful finish selection and ventilation design.